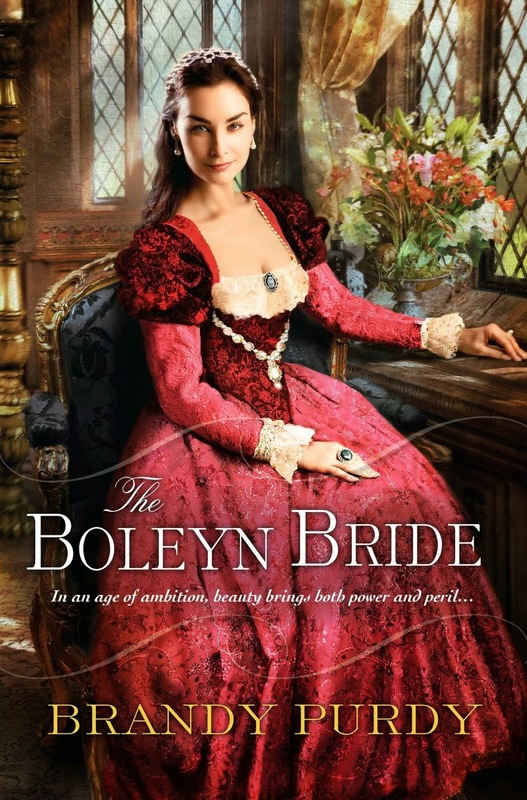 Just when we thought we knew all there was to know about the Tudors and the families who brushed elbows with them, Brandy Purdy comes out with The Boleyn Bride, which brings us the life of Elizabeth Howard who became Elizabeth Boleyn, mother of the infamous Anne Boleyn. And what a tale she weaves. Elizabeth is portrayed here as a vain and promiscuous woman and yet, one cannot help but root for her. Thrust into a life and marriage she did not want and forced to accept her fate demurely and obediently, which was what was expected of women of the time, she nonetheless goes after what she wants in her own way and lives the life she wants to live, albeit in secret. By this, I mean the taking of many lovers which surprisingly, in this tale, did not include king Henry VIII which has always been rumored in the annals of history. Her chief reason for not taking king Henry to her bed is what makes her an admirable character in my eyes. Despite her faults, she is capable of good and, in the end, she admits to the guilt of her hand in the demise of her precious son and daughter, George and Anne. It has been some time since I've been so captivated by a Tudor based historical novel. I have to admit to being somewhat burned out by the over saturation of the Tudors since the cable television series brought them to the mainstream and the forefront of people's minds. However, The Boleyn Bride has renewed my interest. This book was truly an unputdownable read for me. I highly recommend it. I also have felt saturated with Tudors, but this novel sounds indeed like a new look. Would love to win a copy. Thanks for the giveaway. A fascinating book which would be unforgettable. thanks. Can't get enough of the Tudor's! I think my favorite book about the Tudors is The Autobiography of Henry VIII by Margaret George. I'd love to win this one just so I can hold that beautiful coverin my hands! I find Elizabeth I totally delightful. From what I know, she's one of my favorite characters in history, fiction, film/tv or any other source of narrative. She's my favorite heroine! Certainly, the characters in and surrounding this dynasty are unique and fascinating, and the importance of the historical period adds extra drama!